documentary investigates why eating wheat for thousands of years has been linked to increase of wheat intolerance creating many health problems. The documentary includes 15 in-depth insightful interviews with world renowned experts in this field. Come along and hear the Autoimmune Nutritionist come along a speak about her experience about overcoming brain fog, bloating, memory loss, hair loss, fatigue and low motivation after being diagnosis of sub-clinical Hashimoto's. Hear how she now guides others with Autoimmune conditions in changing the way they nourish their bodies to get their live's back. "What is the best diet for me?" With all the different diets out there have you ever wondered which is the best one for you? 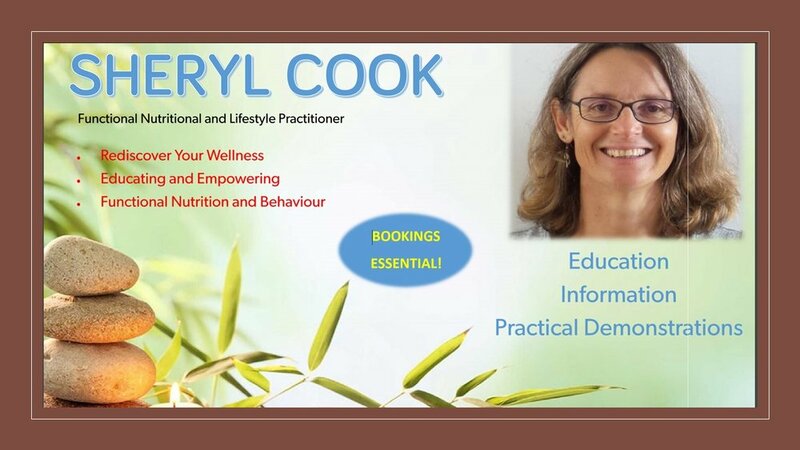 Sheryl talks into how you can decide what may work for you and your body whether you are just looking to improve the way you currently eat or have a diagnosed health issue and are wishing to nourish your body to improve symptoms. I will be having a stand at this event. If you want to pop by and find out more about Functional Nutritional, please stop by. I am speaking on the Sunday, time yet to be advised. My topic this year What is the best diet for me? The date of the first meeting is yet to be confirmed. I am currently seeking a venue to bring Functional Forums to the Wide Bay. This is a monthly series which comes from the US and invites collaboration between GPs, Functional and holistic practitioners to meet and connect to improve the health options and wellness of the community. They say it take a village to raise a child, I also believe it often take the same to live in a healthy community. More details to be released about this event. Would you like the support of a group while making dietary and lifestyle? During fortnightly meet ups, I will be educating, empowering and guiding the group through foods and lifestyles choices that support people with autoimmune issues. And ultimately you will be starting on the journey to a better feeling you! Tickets: $20 include chicken salad and hot drink. Do you have one of the 100+ Autoimmune Diseases? -Lack of motivation-Brain fog / fuzzy brain?